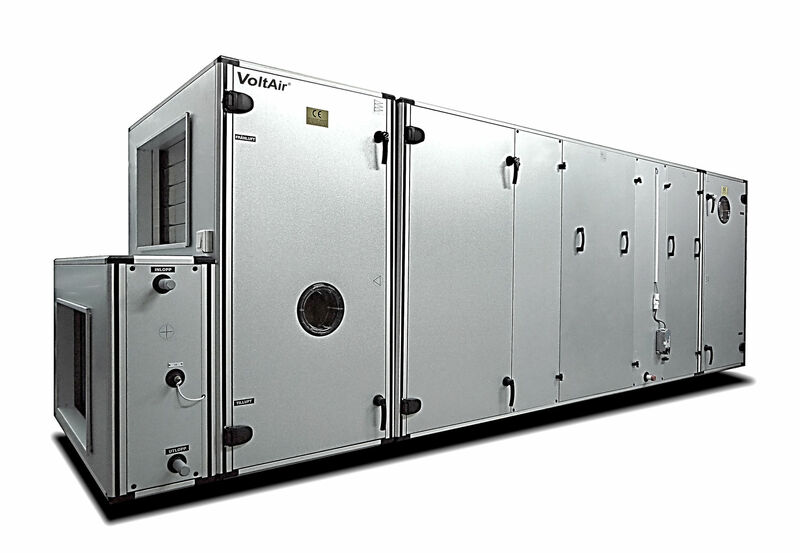 WLXX is a modular unit equipped with a two-step cross-flow heat exchanger. The modular design offers great flexibility when it comes to choosing functions. These units are designed for the Nordic market and feature double-wall plate heat exchangers with high efficiency and minimal frost formation. The design dehumidifies the exhaust air in the hot exchanger before it reaches the cooler exchanger, thereby limiting frost formation. Completely separate air streams ensure that no odours are recirculated. Automatic defrosting is included as a function when control and regulation options are selected. WLXX is available as a modular or turnkey unit. Even turnkey units can be easily dismantled into modules after delivery to simplify transport. Two-step cross-flow heat exchangers are well suited to most applications where the needs for high thermal recovery and no odour transfer are a priority. WLXX is available in models for indoor and outdoor installation. The units are delivered in parts and are easily assembled using internal clamps while all electric cables are fitted with quick couplings for fast and easy installation. Relevant documentation for the WLXX series can be found here.